I was introduced to this serum last year when I wanted to try other products other than my regular Dermalogica to lighten marks caused by hormonal acne. Therefore, I bought this serum with high hopes to transform my skin to crystal clear before I give birth. It is an advanced skin care for a flawless complexion and skin that glows with a youthful radiance, it ensures reinforced control of pigmentation, minimizes dark spots and prevents their reappearance, firms facial features, smooths away fine lines, illuminates the complexion and restores the skin's transparent rosy glow. It is enriched with extracts of Sea Lily and Alchemilla for optimal protection against dark spots. - it does what it says! It did minimize my acne marks remarkably. 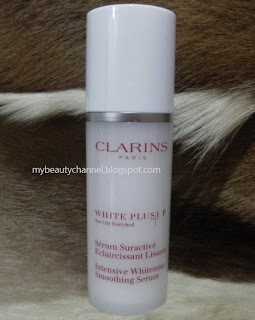 My skin glows with lesser red marks and spots, even my gynae asked me what I have been using on my face when I went for my baby scan :) In my opinion, this serum is better than Clarins White Plus All Spots Whitening Corrector which I have also tried and reviewed here. - it controls pigmentation. I was warned by my beautician that my skin may show signs of pigmentation due to pregnancy. Hence, I quickly invest in a product that controls pigmentation and again, this serum works! I did not have any pigmentation or dark spots during pregnancy other than marks left by acne. - it is non-greasy, application is smooth and the serum absorbs quickly into the skin. - most important of all, it is allergy tested and non-comedogenic. I'm wary when selecting products for my face and I always make sure it will NOT trigger acne or clog my pores. 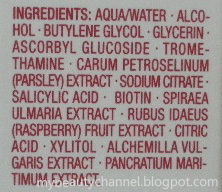 - it brightens my skin effectively, I wore less make up when I was using this serum. - I don't think it works to smooth away fine lines as stated. 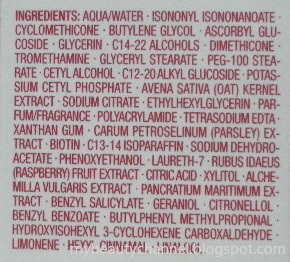 Then again, perhaps I didn't use this serum religiously. 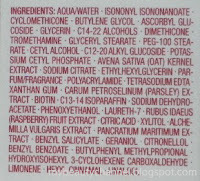 I have stopped using after I gave birth and this explains why I didn't list this product in my beauty profile. I will be using this serum again because I noticed pigmentation are forming under my eyes. - it is pretty expensive but I always believe that if you want a good value for something, you need to pay for it. - I despise the packaging! I can't open the neck of the bottle to shake out any remaining serum. Size: 30ml / 1.06 Oz. Would I buy again: Yes, this is one product I highly recommend although it is pricey.